Discover more about the environment, wildlife, and our natural resources with interactive booths, rock climbing wall, up-close animal encounters, live music, keeper chats and more. With over 100 AZA zoos and aquariums participating, Party for the Planet is the largest combined Earth Day celebration in North America. The Molly Ringwalds will perform for The Relay on the Red in Alexandria, LA, benefitting the American Cancer Society. Relay For Life is a signature fundraising event for the American Cancer Society, bringing communities together in the fight to end cancer. On April 26, the festival-style event will feature live entertainment from The Molly Ringwald’s on stage at 6p.m. Opening ceremonies and a cancer survivor celebration will take place at 7 p.m. Activities are available for all ages, and there is no admission to attend. Donations made at the event benefit the life-saving mission of the American Cancer Society. Teams from businesses, schools, families and friends will host campsites or booths with different food and activities for donations throughout the night. To learn more about the event or to register, visit RelayForLife.org/RapidesLA. Admission free; menu prices vary per vendor. Cash suggested. Come dine on the bricks as locally owned restaurants and caterers showcase the best of their menus. Admission is free, but menu prices vary. Live Music by Larry “The Voice” Ellis. Ellis is an Alexandria Senior High School Alumni and has toured and performed with acts such as Patti Labelle. **Artwalk will be held May 3rd and 4th in conjunction with the Alexandria Red River Festival! For more information visit http://ticket-central.org/event/artwalk-2019/ , email julie@louisiana-arts.org or call 484-4471. ArtWalk is a free, family-oriented, self-guided walking tour of over 60 participating artists, vendors, and live entertainment acts, held bi-annually in the Cultural Arts District in downtown Alexandria. Sidewalks, green spaces, and the alleys come alive as local artists demonstrate and sell their works of art. All original artwork sold within the Cultural Arts District is tax-free. Dance and party to the tunes from national and local artists. Join us at the Alexandria Amphitheater for some unforgettable live music. 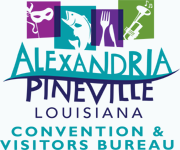 A full line-up of Alexandria’s Local Celebrity Bands & Arts will take the main stage including your favorite on air personalities from television and radio. Brandon Rhyder has established himself as a fixture in the Texas Country / Red Dirt scene. He has released multiple albums, with four #1 Texas Music Chart hits. His signature sound is one you will definitely want to hear! Midnight Star know for hits such as No Parking (on the Dance Floor), Freak A Zoid, Midas Touch and so many more! Midnight Star is bringing their remarkable talent and creativity to Alexandria Red River Festival. This live performance can only be characterized as electrifying. Come out and enjoy music, drinks, and food as our local chefs cook-up some of their best BBQ Ribs and Chicken dishes. Registration is free - Save your spot now! Come see how vehicles have changed over the years and check out all sorts of unique cars. Located on Main Street / 2nd Street from Jackson Street to Johnson Street. Space is limited, register today - there is NO FEE, but great prizes! Mayor’s Choice, Top 10 Vehicles and Door Prizes for Owners! Chris Ardoin, a Zydeco Accordionist and Singer, AND Alexandria favorite, takes traditional zydeco and mixing in various styles including R&B, reggae and hip-hop. Staying still while listening to Chris will be tough to do! Whodini – the original hip hop band form Brooklyn, New York. Whodini, made their mark in music as the pioneers of synthesizers, original rap, with a twist of R&B. Known for hits such as Freaks Come Out at Night, Friends, Five Minutes of Funk, festival goers will love the old school hip hop that appeals to all generations! Yoga is offered FREE of charge every Tuesday, thanks to a grant from The Rapides Foundation. Yoga instructor, b. Hedrick is an ascetic Taoist yogi with 14 years of yoga practice. Yoga Tao is for all experience levels, incorporating spirit-mind-body techniques. Join us every Tuesday at 6:15pm on the Patio at Spirits located at 1200 Texas Avenue, Alexandria, La. Our 3 mile route is bike, walk, run and running stroller friendly. All paces are welcome. SERIOUSLY. All paces. The first Tuesday of every month is our Patriot Run. We carry all the American Flags that we can carry and wear all the red, white and blue that we have! A great show featuring Odell Wilson (guitar), Jamey Bell (drums), Trey Huffman (bass), and various local musicians joing them on stage to perorm. This is a weekly show and starts around 7. Please dont miss this talented group as they bring the blues to rhe Bayview Yacht club. 6233 Old Baton Rouge Hwy. Cenla's Premier Farmers' Market hosted by Louisiana's Largest Certified Organic Farm, Inglewood. This market is every Saturday throughout the year from 8am-Noon. Find everything you need each and every Saturday. Local produce, pastured meat, dairy, crafts, homemade breads, jams, jellies, wellness products, honey and so much more! Plus bring out the family and enjoy a stroll though the garden and pecan orchard, check out the Famous Chicken Bus, and taste some homemade meat pies, tamales and more delicious hot food and drink! Join us weekly for your local farmers market on the farm.